The Myers-Briggs personality test has been widely accepted as one of the most accurate descriptions of people based on their personalities. Drawing from the works of the eminent psychiatrist and psychoanalyst Carl Jung, it is one of the go to test for personality determination in the Modern World. 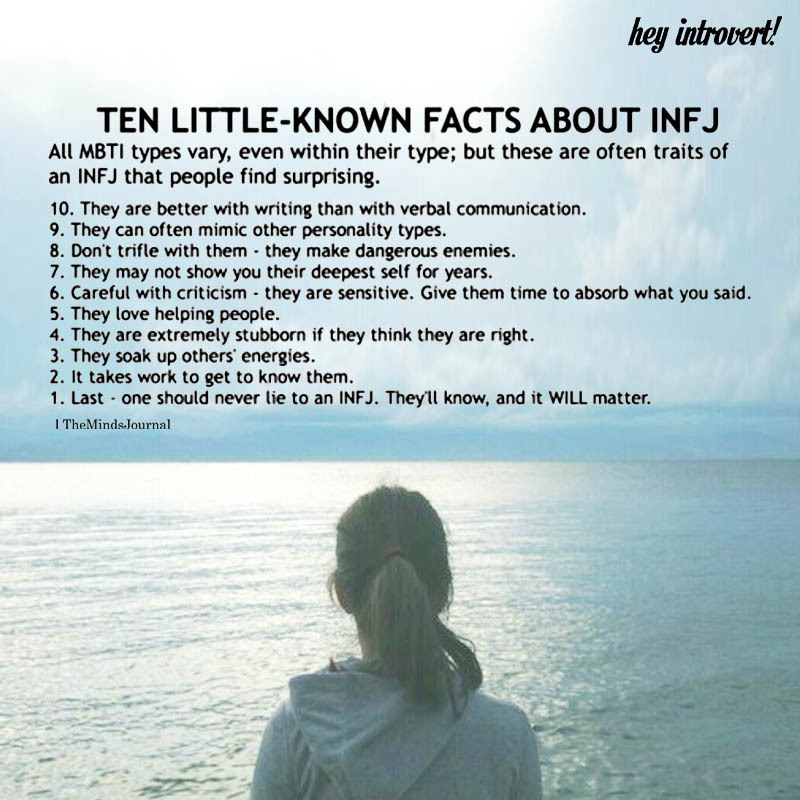 Out of the 16 personality types classified by the Myers-Briggs classification, INFJ is associated with people who are driven, idealists and do well in fields which involve counseling others. 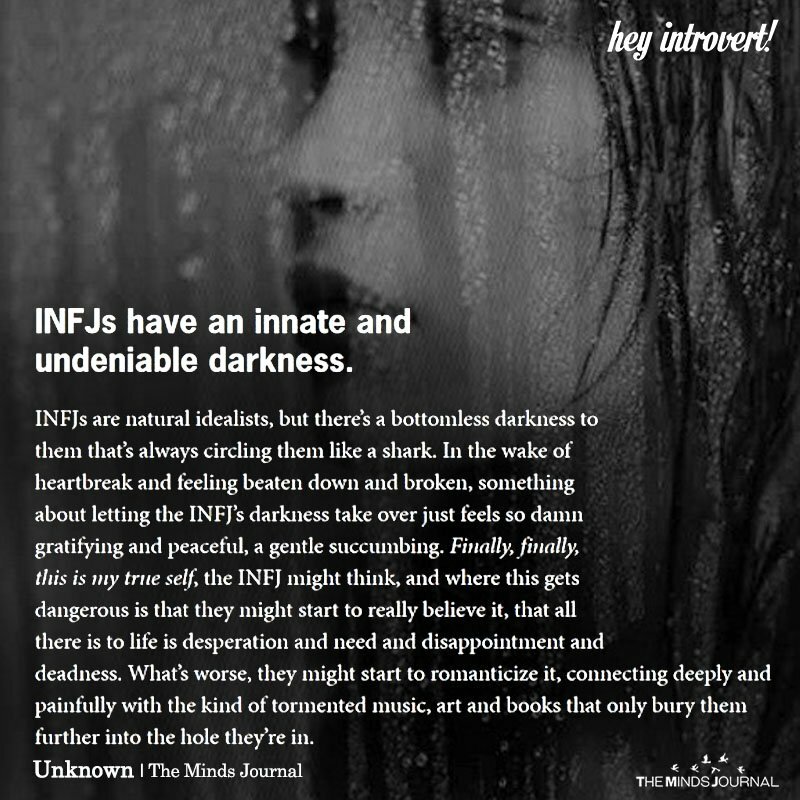 INFJ stands for Introversion, Intuition, Feeling and Judgment. Because they rely on their intuition and are introverts, they are usually good at counseling others. They are more interested in peeling off the layers behind people, events and themselves. Hence they are said to have the wisdom and depth needed to be able to guide others. Some of the famous examples of INFJ personality types are world leaders like Mandela, Gandhi and Mother Teresa. Even though they are characteristically introverts, they are able to form deep bonds with others because they have a better understanding of human emotions and motivations. Therefore, it is common to expect an INFJ to be calm and composed in the moments of crisis, being able to take charge and help others. However, the presumption that INFJ would always be full of compassion and love for others is a little far stretched because that is just one aspect of their personality. There are other aspects too, which are comparatively darker and when played out and emphasized has led to far more sinister individuals than what we would expect from this personality type. 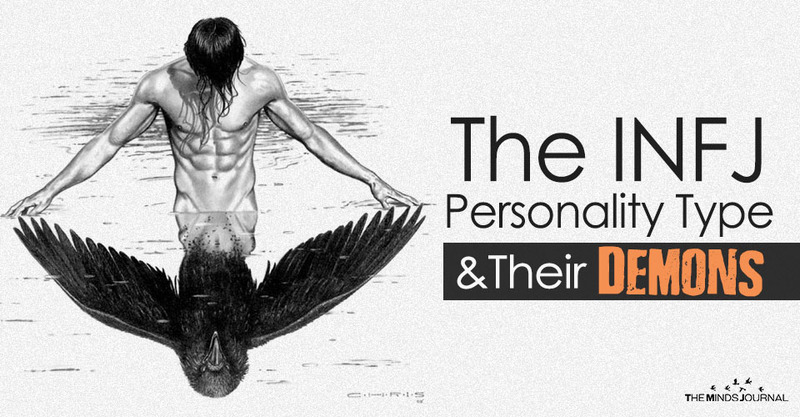 Would you believe that Osama Bin Laden and Adolf Hitler too belonged to this personality type? This is because the same passion (which the INFJ are known for) when applied for a sinister cause can cause a lot of collateral damage. All the 5 names mentioned so far were highly driven and motivated individuals, who touched a lot of lives because of their determination. But the difference was the cause they chose to pursue and the beliefs they held. The reason is that even though INFJs are considered to be masters over their emotions, they are just calm on the surface. Deep within the sways of their emotions influences them much more than you’d think. They have their own struggles with the particular characteristics of their personality type. And as mentioned above, depending on what they believe in, they can turn out to be the epitome of either good or evil. 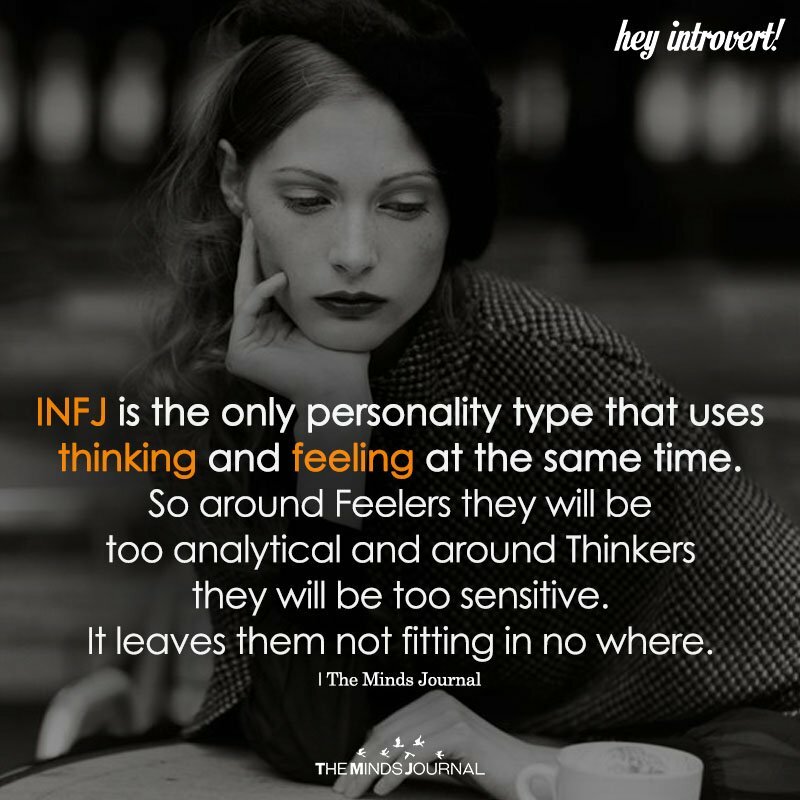 Again, just because INFJs are good at masking their emotions from the outside world, doesn’t mean that they don’t have any. They feel too intensely and sometimes just way too much. Their feelings and emotions keep changing and sometimes it can get too much for an individual to handle alone. But being the introvert that they are, their first instinct is to be reserved because firstly, they genuinely don’t want to bother someone else with their problems. And secondly, they fear that they’d be judged by the other person. This inhibition causes them to bottle up these emotions and they keep struggling alone.